Here you'll find a Q&A session hosted by the Spanish website codigolyoko.net in 2016 (belatedly!) to which the writing director of the first three seasons of Code Lyoko, Sophie Decroisette, has kindly responded, despite the time that's passed since the end of the Code Lyoko era. The questions have been translated from Spanish into French, and then into English, and the responses were given in French by Sophie Decroisette and translated into English. In episode 52 "The Key", Franz Hopper says the he created Lyoko and XANA to destroy Project Carthage. How would a virtual world like Lyoko help to destroy Project Carthage? It's not Lyoko that can end Project Carthage. FH created Lyoko as a safe haven for himself and his daughter. It was Xana who was created to counter Project Carthage. The best way of destroying a computer system...is another computer system. So that's the reason that drove FH to create Xana, a powerful program, designed to destroy the threats of electronic war in the world. But FH never expected Xana to gain consciousness...and turn against him. How did Franz Hopper shut down the Supercomputer while on Lyoko? Aelita was the one who stopped the computer, after the disappearance of her father, absorbed by Xana. Franz Hopper took care of implanting all his knowledge (XANA's source codes and the schematics for the quantum computer) in his now virtual daughter. Aelita notably has within her the quantum computer's manufacturing data (so she can shut it down). When I wrote the backstory, it was indeed Aelita who had the codes to shut everything down and who turned off the computer after her father disappeared. But FH had them too, just as she did. Would you have preferred it if Code Lyoko was aimed at an older audience so you didn't have to cut or soften certain sequences or scenes due to possible censoring? I never envisaged writing Code Lyoko for any other target than the one that was decided on at the start. Moreover, I was always able to tell the stories I wanted between the students. That includes love stories! But I'm pleased that older viewers are interested in CL. I think it's the cyber-punk side of the series and its rather complex sci-fi side that made the series interesting for all sorts of ages. Looking at the web gallery of Fréderic Perrin (background artist for Code Lyoko), I found an image of a hydroelectric dam, marked "Codelyoko4". My question is: were you thinking of doing a season 4 episode where you showed the Replika of the Mountain Sector, with a supercomputer in a hydroelectric dam? If that's the case, why did this episode never make the cut? Actually, this location was envisaged in the initial script of season 4. We got rid of it for financial reasons. I even think we got rid of another one as well (so two in total)! Is there an official list of ALL the characters of Kadic? In other words, all the people (students, teachers) who are almost never involved in the action but who are always there. The students and teachers are classed within several levels of importance. There are the main secondary characters (Jim, Ms Hertz, Sissi, Herb and Nicolas...), the semi-recurring secondary characters (Milly and Tamiya, Yumi's brother, the nurse, the principal's secretary...). Then there were the silhouettes, characters we only see in the courtyard, cafeteria and classrooms. I think there was actually a production document that listed them with visuals. You must know that, after season 4, Moonscoop published 4 books, the Code Lyoko Chronicles, which followed the story of Code Lyoko but in an alternate universe. These books plunged into the backstory. My question is: have you, the original writers of the series, been consulted for writing these books? Is the backstory you wrote the same as the one used in these books? Or, on the other hand, did you not participate at all in the creation of these books and was your backstory not respected? What happens if you fall into the void inside a tower that's not a Way Tower? What nationality is Odd, really? It was never said in the series. Is he Italian, as his name suggests (Della Robbia)? Is he Canadian, like the false nationality Jeremy gave to Aelita, who is presented as Odd's cousin? Is he of some other nationality? A slightly personal question: season 2 of Code Lyoko was a very big turning point for the series (the original backstory was modified, XANA completely changed strategy and decided to escape the Supercomputer, the series was no longer episodic and the plot progressed...) and it contrasted really well with the first season. My question is: would you have changed certain aspects of season 1 so that it more closely resembled the other three seasons? I think we need to not turn the clock back... :-) Season 1 had a lot of good points: it presented the universe, Xana's attack system, the group of heroes... Without it, we wouldn't have wanted to evolve the series by asking the questions this season doesn't answer: where does Xana come from, how was the Supercomputer found, who is Aelita really and where does she come from...? I think there are very good episodes in season 1 and that without it, season 2 would be so good... However, retrospectively, I can learn a lesson from all this work: you must always ask the maximum amount of questions about the backstory before writing anything! About the Scyphozoa, where did you get the idea of a jellyfish that flies and inserts memories in the brain through its tentacles? In season 4, why are there no humans in XANA's military bases while the Lyoko Warriors are visiting them? And why are there no humans who notice the existence of supercomputers controlled by XANA that generate Replikas of Lyoko? Xana took control of or eliminated the humans that hindered its plan to create an army of robots. They were xanafied...and so taken out. As such the zones were deserted... We can imagine that Xana did the same to all those who hindered its projects. When was the decision that season 4 would be the last season of Code Lyoko made? Do you know the motives behind this decision? At the time, had the possibility of creating a sequel to the series been envisaged? At the time there hadn't been any desire to create a season 5 on the part of the broadcasters (FTV and Cartoon Network), so we decided to give it a proper ending. No sequel had been thought of at the time (to my knowledge). In season 2, the Sissi's character became much nicer, often helpful, and funnier than in season 1. How and why did this development come about? Had it been envisaged that she would become part of the group of heroes after the final episode, and actually go to Lyoko? There was also frequent teasing of a potential romance between her and Odd, was that serious? The character is definitely the main antagonist of the heroes on Earth! That's why it's impossible to leave her aside and forcibly interesting to develop her so that her investigation on the Lyoko Warriors also becomes complex and creates tension. But she's also an engaging and touching character, who has a number of worries herself. On the other hand, she was never meant to join the group of heroes for real; if she did, she would've been an ally instead of an adversary! Her history with Odd is more of a running gag than a reality. She's definitely in love with Ulrich! When William was introduced at the start of season 2, had it already been decided that he would become a XANA Warrior? Yes, I think I remember the idea being to add a Lyoko Warrior, but one that was different from the others, who disturbed things within the group. At the very start, he was meant to be called Orlando (a name that was very quickly abandoned...). 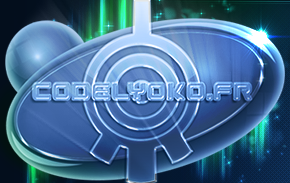 Not long after the end of season 4, there were plans to make three Code Lyoko films under the Code Lyoko Reloaded project. Did Moonscoop ask you to write these three films? Do you know why they were cancelled? Why is Aelita the only person who can deactivate towers on Lyoko? Aelita is the only one who can deactivate towers because her father Franz Hopper who ensured that this would be the case. As he's the one who created Lyoko, he's also the one who gave his daughter her supernatural powers. 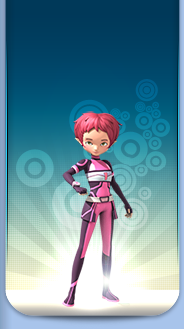 What is Aelita's nationality? Was she born in Switzerland to French parents? Was she born in the French Alps? Franz Hopper is Swiss. So that could mean his daughter is Swiss too. But she was born in the United States. During the writing of the series, did you ever want to take more risks and break away from the general formula of the episodes (XANA attack on Earth, trip to Lyoko, tower deactivation), despite the opposition of the television channels who didn't allow you to? No, I never felt censored. I find that the concept was at the end of its promises, with the only constraint being a self-imposed one to tell stories for children of 6 to 12 years. The fact that the series pleases much older people proves that we wrote much more complicated scripts than the original concept allowed us to imagine. Why did Franz Hopper name the fifth Sector of Lyoko after the project he wanted to destroy (Carthage)? Sector 5 isn't called Carthage. The text "Welcome to Carthage", which appears on the window when accessing the Sector, is just the introduction for the password FH put in place (Scipio). Actually, that could create confusion. How many towers are there on Lyoko? I heard that there are 10 towers in each Surface Sector, and 1 tower in Sector 5 (in total, 41 towers), but that was never confirmed in the series. What's more, we've seen more than 41 towers throughout the series. So, is it true that there are 41 towers on Lyoko, or is it a different numbers? Or maybe the number of towers is undetermined? There are exactly 85 towers on Lyoko: 21 in each Surface Sector and 1 in Sector 5. Throughout the series, we've seen many insinuations of romantic relationships between Jeremy-Aelita and Yumi-Ulrich (flirting, jealousy, a few kisses...). However, these romantic relationships never go any further than that, and they're never consecrated. That is to say, the characters have never explicitly formalised their romantic relationships (in other words, they've never said "we are a couple" and have never acted like a couple). What was the reason for that? Was it a decision made by the writers? Or is this the TV channels/production preventing the evolution of romantic relationships? Actually, it's much more interesting to tell a developing love story rather than a concrete one. If Ulrich and Yumi had gotten together, there would be no more challenge, no more story revolving around their romantic relationship unless they separate and get back together again eventually. According to official series documents, seasons 1 and 2 of Code Lyoko took place during the 2002-2003 school year. However, there's no episode in these two seasons that talks about the Christmas holidays. Were the Christmas holidays supposed to have taken place between seasons 1 and 2 (in other words, between episodes 26 and 27)? If that's the case, how did our heroes continue to keep and eye on XANA and ensure they were ready to act if an attack happened during the Christmas holidays? We always imagined that, like at all boarding schools, not all the students left to go on holidays, and in the group of warriors, there was always at least one person who stayed to keep an eye on Xana's activity. It could be Ulrich in particular, as his family isn't very warm. So we imagine that there are adventures that aren't mentioned, managed by the Lyoko Warriors staying at the school. Why did Franz Hopper choose to hide the key that opens the train station locker containing his journal in a Christmas present for his daughter Aelita (the goblin plush Mister Pück)? In episode #82 (Distant Memory), XANA takes advantage of the fact that all our heroes minus Aelita have left for the Christmas holidays in order to lure Aelita to Lyoko. To do that, XANA pretends to be Franz Hopper, contacts Aelita and asks her to come to Lyoko. But, once Aelita is on Lyoko, XANA initially tries to capture her in a virtual bubble (a ghost channel like the one in episode #24) instead of making her fall directly into the Digital Sea (which is one of XANA's primary objectives in season 4). Do you know why XANA did that? You've said that Sector 5 of Lyoko isn't named Carthage and that the "Welcome to Carthage" message is just a password prompt for accessing this Sector. So, could we suppose that Sector 5 is simply called "Sector 5"? And why is the password to access this Sector a direct reference to Project Carthage? Why did Franz Hopper choose such a password? Yes, its name is "Sector 5" (Translator's note: or "Sector Five". We usually use "5" on the site but as Sophie Decroisette has written it here, it's "Five".) He chose this password because FH's entire life was taken up by Project Carthage. In season 2, we learn that XANA wants the keys to Lyoko, which are in Aelita's memory, in order to escape the Supercomputer. We can suppose that XANA always knew that the keys to Lyoko were in Aelita's memory (because, if it didn't know, there's no sequence in the series where it's explained how it found out). On the other hand, in season 1, Xana wants to destroy the heroes, including Aelita (in many episodes throughout season 1 it's evident that it wants to kill Aelita). Why did it want to eliminate Aelita in this season, given that as she holds the keys to Lyoko, she is the only way it can leave the Supercomputer? Why weren't you the writing director for season 4 of Code Lyoko? Because I was pregnant with my second child! But I was a scriptwriter and I closely monitored the episodes that took place on Replikas. In the final episode of season 2, we learn that Aelita isn't linked to XANA by a virus, rather because XANA had stolen Aelita's human memories. But why do Aelita's missing memories make her attached to XANA? Aelita's memories of her life on Earth form the virus that link her to Xana because, if Aelita doesn't get them back, she's not spiritually complete...and so she can no longer live. When I took charge of the series, the bible wasn't very precise when it came to Xana's objective... It was more a principle of adventure and action than a clear and precise concept. After the fact, we proposed that in season 1 Xana was doing all it could to learn about the human world, it groped its way forward, like a long learning experience that would then allow it to have a more precise objective in season 2. If Code Lyoko hadn't ended with season 4, what would you, the writers, have wanted to do with William's character? Do you know who developed the technology for the "spectres" that Xana uses to attack Earth, and why? And what are spectres exactly? To be honest, there's no scientifically reasonable explanation for the spectres. It's a method Xana developed to take action. Probably some sort of quantum origin, for scientific explanations you'll have to ask Xana. To what end did Franz Hopper create Lyoko's towers? What did he want to do? It's the materialisation of communication methods in Lyoko and between Lyoko and the real world. Fanz Hopper created them for communication. TV channels have always required episodes to be the same duration of 26 minutes. Was that ever a problem for you while writing them? No, 26-minute episodes are perfect for writing adventures, and in any case I had no other choice! What exactly are the keys to Lyoko, and why do they allow Xana to escape the Supercomputer? They're the source codes and the plans to the quantum computer (which Aelita possesses). To take them, Xana controls a monster on Lyoko: the Scyphozoa. Once these plans and codes are obtained, the AI can duplicate itself inside other similar computers and no longer be threatened by the heroes. Why was the military project Waldo Schaeffer worked on called "Carthage"? Why such a name? It's a reference to the Punic Wars, in which there were two powers at play: Rome and Carthage. Like the East and West blocs during the era of Project Carthage. If you were able to go back and do a new season or a film to put a definitive close to the Code Lyoko story, would you do it? Lyoko is finished for me on a narrative perspective. There was an ending, the finale of season 4. For me, season 5 isn't really CL. But it would be nice to do an adventure (feature-length) that takes place before the end of season 4. When the factory Supercomputer is turned off in 1994, Lyoko remains off, but it's not destroyed (which explains why Aelita didn't fall into the Digital Sea). But later on, when the Supercopmuter is switched off, Lyoko starts to disappear (episode 37: Common Interest), and the same thing happens when a Replika supercomputer is stopped (episode 79: Bragging Rights). Do you know why? I'd imagine that FH put the computer into more of a specific sleep or shutdown state, so that Aelita would be safe and wouldn't be depixellised herself. In the second Code Lyoko video game (Quest for Infinity), there's a Replika of a Sector that doesn't exist on Lyoko: the Volcano. My question is: were there plans to include the Volcano Replika in season 4, but the idea was abandoned and then reused in the video game? Or, on the other hand, was the Volcano Replika created just for the game? If the answer to the first question is yes, why was the idea for this Replika abandoned? I don't remember a volcanic setting. So it must have been created just for the video game. How was the experience of writing Code Lyoko? What did it mean to you, personally and professionally? It was a formidable and enriching experience on all levels. Firstly I had huge freedom in writing. Moreover, it's a series that worked well and appealed to a number of spectators. That's very satisfying as an author. I had feedback and comments from fans, which is rare for a screenwriter. Plus, it let me work with Jérôme Mouscadet, with whom I'm still writing projects. It was a cool encounter! And then I made progress in terms of writing, because it was a challenge to work on several seasons and remain coherent with the adventures in the virtual world, have the characters develop, remain humorous... And then I made progress as a writing director because it was one of my first directing positions. And then I'm still talking about it today with you, which proves that the series left its mark on people. Nothing but happiness! In the literary bible for season 1, Aelita was supposed to be an artificial intelligence created by Franz Hopper, and not a human being. Why did you decide to change this when you rewrote the backstory after season 1? Why did Xana need virtual worlds (be it Lyoko or the Replikas) to access the real world? Didn't it have any other way of doing it? Why did a person so important to Code Lyoko as you participate so little in Code Lyoko Evolution? I wrote the Bible for Code Lyoko Evolution and some of the first synopses with Jérôme Mouscadet. But I quickly saw that production wanted to be on a particular story level that didn't agree with my ideas on the series. So I quit production.